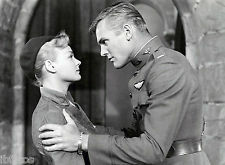 LAFAYETTE ESCADRILLE —-a real disappointment from 1958, marked the bitter end of William A. Wellman’s stellar directorial career, with his personal salute to the fabled WW1 flying outfit (that he had been a member of) getting eviscerated from the Warner’s muckimucks, who changed the leading man from Paul Newman to Tab Hunter and gutted the production values. The few flying and action sequences have zip for pizzazz (this, from the director of Wings), but even then, the silly script focuses 90% of the 93-minute running time on a phony-baloney romance Hunter has with French import Etchika Choureau. She’d headlined Wellman’s previous outing, also a weak war film (though better than this), Darby’s Rangers. Her sauciness doesn’t make up for the sudsy blather, lame humor and anemic action. 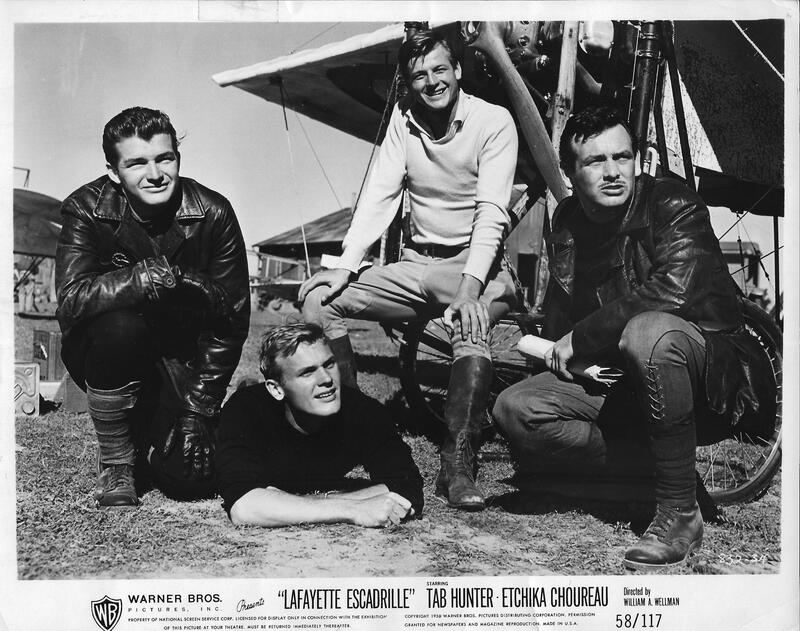 Hunter fared much better the same year with the taut western Gunman’s Walk and the enjoyable musical-comedy Damn Yankees. Etchika went back to France, got involved with the King of Morocco and faded into Trivialand. Wellman, disgusted with the handling of the project and its reception, quit the business, a popgun fadeout for a legendary Hollywood maverick. ‘Wild Bill’ won the Croix de Guerre during his ace service in The Great War, dropping eight of the Kaiser’s planes, getting shot down himself. He started out that fracas in the French Foreign Legion–where he’d ended up after a series of adventures, including being booted from high school for dropping a stink bomb on the principal’s head. Hard-drinking escapades and romances in Hollywood tracked 39 years in the business, stamping his talent on The Call Of The Wild, Beau Geste, A Star Is Born, Nothing Sacred, The Ox-Bow Incident, The Story Of G.I. Joe, Battleground, Across The Wide Missouri, The High And The Mighty and Island In The Sky. Don’t miss any of those, don’t waste time on this fizzle, which was shot down toearth at 102nd place for the year, barely scraping $2,000,000. Featureing Marcel Dalio, David Janssen, Paul Fix, Veola Vonn, Will Hutchins, Clint Eastwood, Tom Laughlin, Brett Halsey, Raymond Bailey, Jody McCrea and William Wellman Jr. (as his Dad). Okay score from Leonard Rosenman.